As a Spiritual Coach & New Thought Leader, Candace focuses on a soul centered approach to healing. It is her belief that many of our negative “symptoms” are signs that we are out of alignment with our true self. We have been conditioned to align with external authorities, societal ideals, out of date learning styles and perfectionistic standards. We can’t experience or maintain true health unless we are true to ourself. To clear unwanted symptoms we must get back into alignment with what we FEEL. “We are not humans having a spiritual experience, we are spiritual beings having a human experience.” Candace does’t see people as disordered, addicted, broken or wrong. These are just symptoms of a deeper call to wholeness. Candace grew up very energetically sensitive, always feeling and experiencing things more holistically than those closest to her. She was a free thinker and had “unconventional” gifts. Candace wanted to “fit into society” but her chosen passion as a spiritual healer was not recognized in the mainstream educational system. Candace applied to college to study Naturopathic Medicine but was soon discovered by a modeling agency and was put on the path less traveled. Candace became an international model & actress and used that to travel, see and experience many different countries and cultures. Candace learned through experience that standards, measures and beliefs varied largely depending on where you lived. This opened her up to trust her innate holistic understanding. Candace realized that she was never meant to fit into the old societal paradigms but that she was here to help usher in and upgrade the systems of the world by empowering others to be the change. In 2009 she stepped fully into her spiritual work and followed her higher calling to go inward. Candace got certified as a yoga teacher from Pure yoga in New York City. 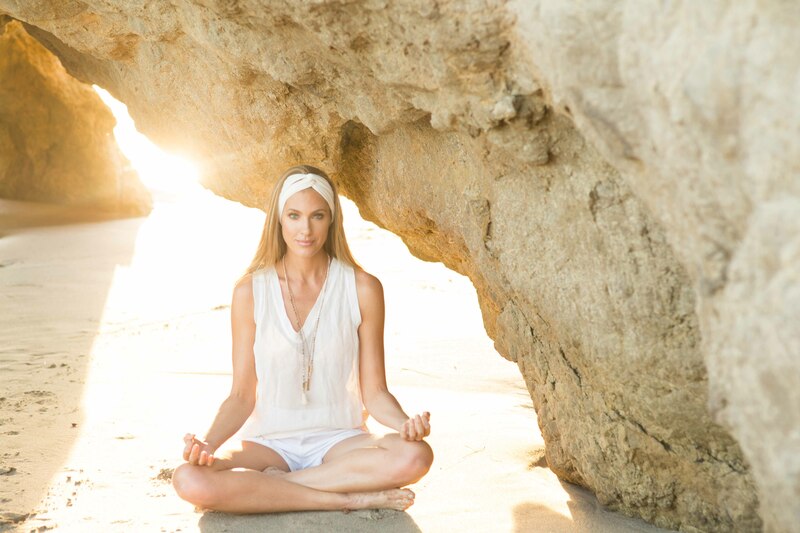 In 2011 she started a two year Masters program in Spiritual Psychology at the University of Santa Monica, in 2015 became a certified Reiki Practitioner and in 2018 a Holistic Health Practitioner in Los Angeles. She believes in the power of inner balance and peace to create outer harmony. Today Candace uses her wisdom to assist people in their own inner awakening to their inner Truth. She teaches her philosophy from her workbooks, eCourses, online workshops and private consultations. She works with people all ages from all around the world via Skype. “I am so glad I found Candace! In a short space of time, Candace has had such an amazing and positive influence on my life. She uses a combination of her finely tuned intuitive skills and those she learned through study and is always evolving her practice as she too continues to evolve, learn and grow. “I contacted Candace at a time when I was going through a lot of changes in my life. I was feeling very alone and isolated in my struggle to understand what I was experiencing. I had recently been through a breakup and was trying to figure out the next steps to take. I came across Candace randomly (or NOT randomly at all!) on YouTube and decided to go out on a limb and contact her about her coaching services. As soon as we started Skyping, I had this overwhelming feeling of FINALLY being understood. It’s a feeling that literally changed my life, giving me a new sense of confidence and self acceptance. Candace had an immediate understanding of what I was going through, the particular challenges I face as an Indigo child, and let me know it was all ok.